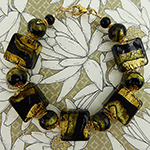 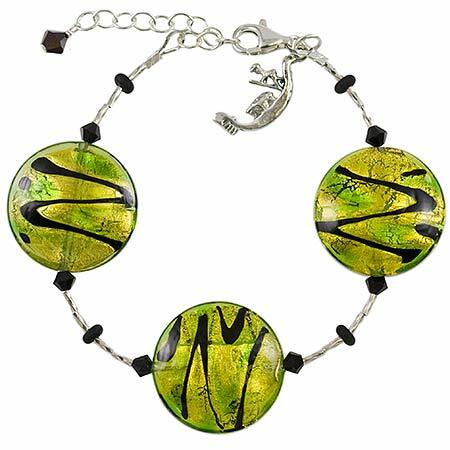 A vibrant green Murano glass is layered over gold foil and then accented with black abstract swirls of glass to create these fine Venetian beads. 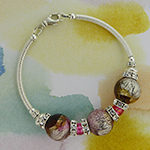 The beads are then accented with Swarovski crystals and stationed between sterling silver tubes. 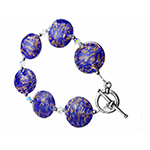 To take the guesswork out of sizing, this bracelet features a 2" adjustable chain and swiveling lobster claw clasp. 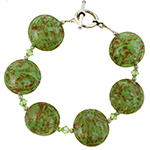 Fits a 6 1/4 to 8 1/4 inch wrist.